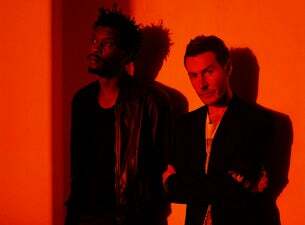 Massive Attack have announced headline UK dates, kicking off in Glasgow on 28 January 2019. The five UK and Ireland dates form part of a full European run, which also see Bristol pioneers take to France, the Netherlands, Germany, Italy, and Portugal. The totally new audio and visual production features Sottish singer and songwriter Elizabeth Fraser, best known for fronting Cocteau Twins, and design by Robert Del Naja. Del Naja, also known as 3D, emerged out of the Bristol graffiti scene as well as being a founding member of Massive Attack. In 2009 he received the Ivor Novello Award for Outstanding Contribution to British Music. The live shows reimagine their iconic third album Mezzanine, originally released in 1998. Twenty one years on, the shows promise custom audio reconstructed from the original samples and influences.